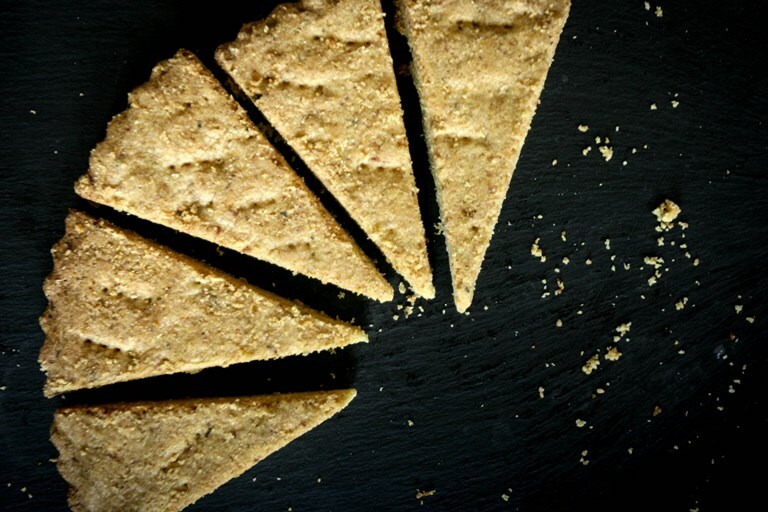 This vegan shortbread recipe is an ingenious egg- and dairy-free bake, with olive oil binding the flour and polenta for a delightfully crumbly sweet treat. 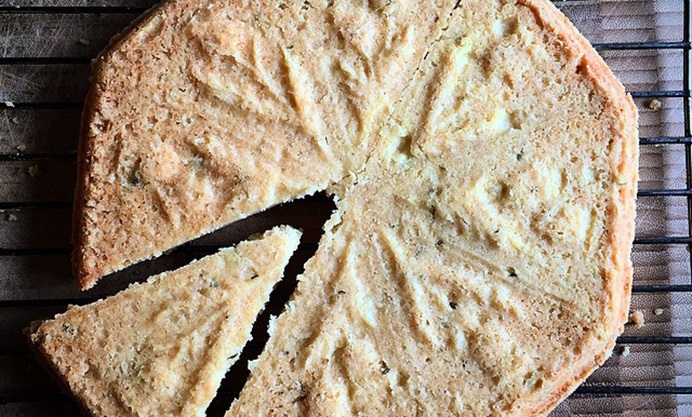 Monica flavours her shortbread with lemon and rosemary for an aromatic finish. This time of year I look for any excuse to bake. Lately I’ve been on a real shortbread kick, experimenting with different flours and flavour combinations. Last year I felt like I really nailed it with my rosemary shortbread, made with the best French butter and cornmeal for texture (the result goes amazingly well with Stilton and cranberry jam). Since then, quite a number of people in my life have started erring towards veganism - if not going vegan completely - so I wanted to create a vegan shortbread for them. I love the delicacy that herbs bring to shortbread - especially rosemary - but I didn’t want to attempt a copycat of my previous buttery incarnations. I kept the rosemary and the cornmeal, but added a little lemon zest and subbed the butter for good olive oil. The result is as flaky and perfect as buttery shortbread, but with a pleasant freshness from the lemon zest. Delicious with a cup of green tea. I like the “crunchy” texture that cornmeal brings to this, but if you like your shortbread finer, feel free to use all flour, or sub the corn meal for finely ground corn flour or rice flour. I make this in a tart pan but you can make it in anything, for example, divide the dough in half and bake in a shortbread mould or roll it out and cut it into shapes (adjust the baking time accordingly).